The Monticello Village Hall is open Monday – Friday from 7:30 am to 4:00 pm. 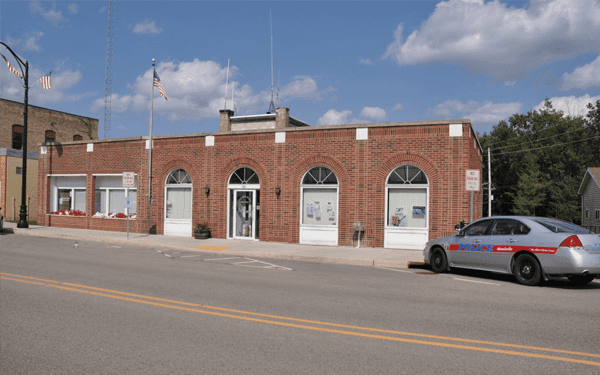 It host the village assessor office, building inspector, the village board, and the Monticello Police Department. At the Village Hall in Monticello you can get trash stickers, pay water bills, buy dog licenses, purchase Monticello Money, view the comprehensive plan for the village, vote, get village information on recycling, trash pick up, utilities, building permits, get your bike license, purchase trail passes, pick up trail maps, attend meetings, and find information on area offerings. Stop in and see what Monticello Village Hall has to offer!